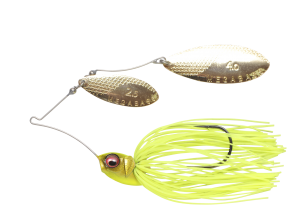 Megabass V9 1/2oz DW - Chartreuse Shiner [V9 1/2oz DW - Chartreuse Shiner] - $14.99 : The Tackle Trap, Inc., It's all about fishing tackle! 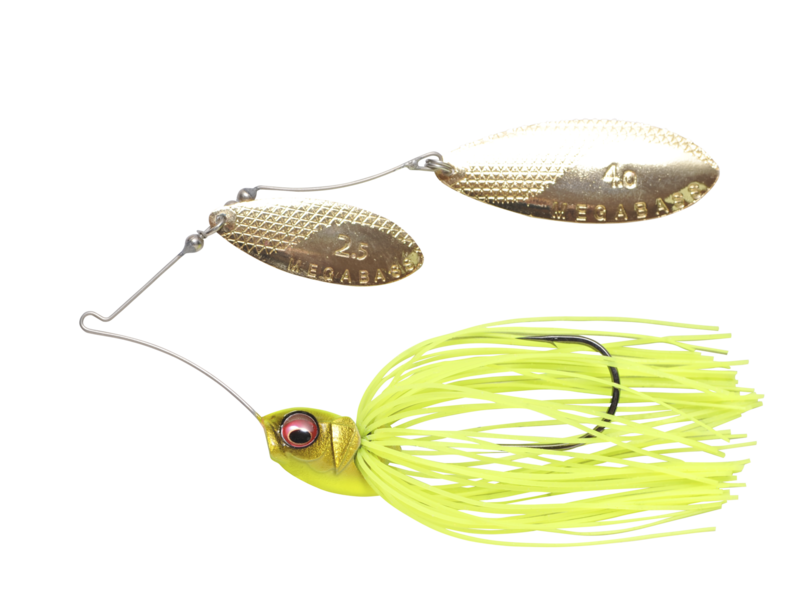 The Megabass V9 Spinnerbait uses a technological fusion of a classic fish head design with V-Flat attributes to bring to life a realistic visual effect and functionality. The V-keel-which is a feature of the V-FLAT head-doubles as quick flapping action and creates instantaneous rise at the time of contact with an obstacle. Hydrohead headed through the details effectively interferes with the water flow and creates sharp vibrations in addition to excellent straight running stability and optimization of the hook set position.